If you have a stagnant website that you don’t update, you are the perfect candidate for total website design, SEO and PPC management. 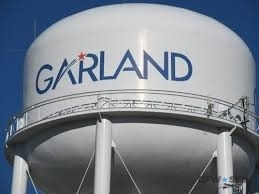 We provide trustworthy SEO services for Garland. Internet marketing is our speciality, so please talk to us about how we can ensure your company rises to the first page of Google results for important local keywords. PPC stands for pay per click. If you’ve ever noticed the listings at the top and along the right side of your Google search page that say Ad, these are PPC campaigns. Depending on the competitiveness of the keywords that apply to your business, you can pay between $1 and $50 per click for these campaigns. PPC management by the experts at Dallas Fort Worth SEO helps lower the cost of a click by making sure the campaign is properly set up and optimized for the right keywords. That’s in addition to the great search engine optimization management all of Dallas Fort Worth SEO’s customers receive. Similarly, SEO, which stands for search engine optimization is the process of building and maintaining a website in a way that allows it to move higher in the “free” search rankings. Our Garland search engine optimization experts can get you to the top of the search engine page even without a PPC campaign. A business’ website should have updated content regularly, as well as a blog and active social media accounts. We provide these services to all our clients. Start seeing results – sign up for website design, PPC and Search Engine Optimization in Garland with Dallas Fort Worth SEO today. Updated on May 10, 2017 at 2:25 pm by Dallas / Fort Worth SEO. Fill out this form and we'll contact you and explain what DFW SEO can do for your business. By clicking 'Send', you consent for DFW SEO to use automated technology to contact you at the number and email provided above regarding internet marketing services.